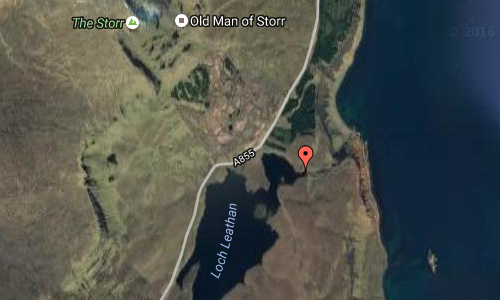 Loch Leathan is a lake in the UK. It is located in the Highland Council area and nationwide part of Scotland, in the northwestern part of the country, 800 km north west of London. 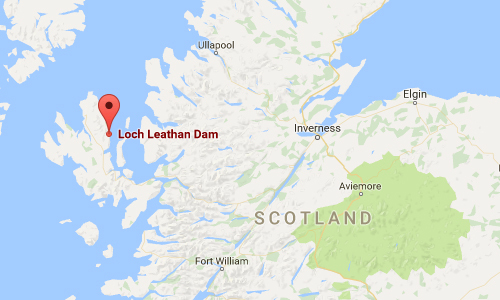 Loch Leathan is located 139 meters above sea level. It is located on the island of Skye. The highest point in the vicinity is The Storr, 719 meters above sea level, 2.9 km north of Loch Leathan. The area around Loch Leathan consists mainly of grasslands. Tundra climate prevails in the region. 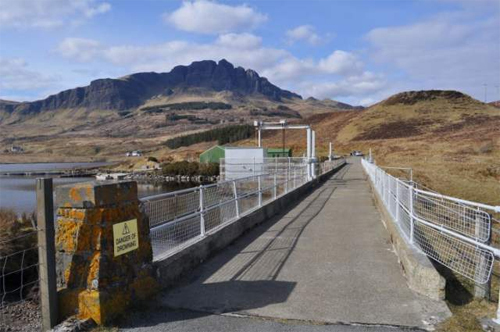 The average annual temperature in the area is 4° C. The warmest month is August, when the average temperature is 8° C and the coldest is January, with 1° C.
Storr Lochs Power Station was opened by the North of Scotland Hydro Electric Board (NoSHEB) in 1952. 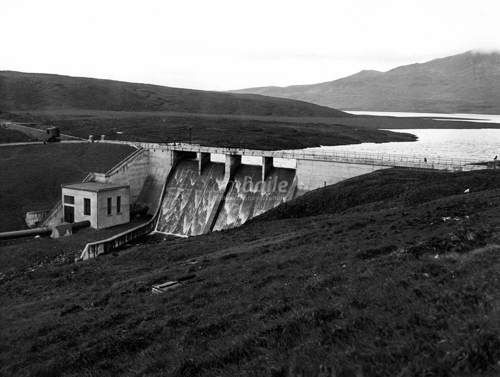 When it opened there were two No 1-megawatt machines which, at that time, supplied the whole of Skye. In 1956 a third No 1-megawatt machine was added. 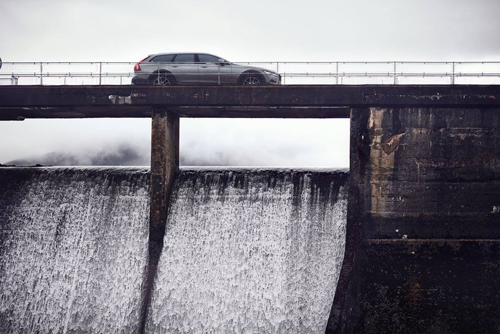 Water was taken from Loch Leathan, which was expanded and deepened by the building of a dam across the Bearreraig River. In later years, when rainfall was very low, a channel was dug between Loch Leathan and Loch Fada (to the S) so that water from there could be used when necessary. 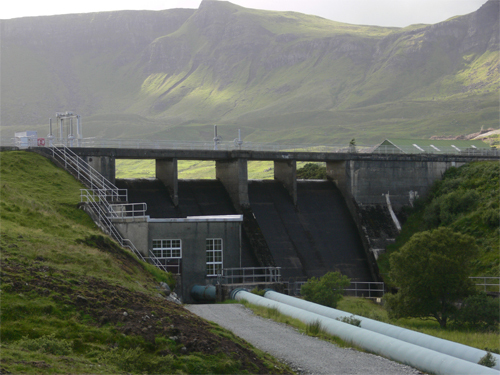 The water exits Loch Leathan at Storr Lochs Dam via two pipelines which sharply descend to the power station below (NG55SE 14.1). A cable railway beside the pipelines is used to transport people and goods up and down the steep hill to the power station: a carriage, or bogey, is attached to a steel cable and driven from a winch house at the top of the hill. The bogey was built higher at the N end so as to be level when going down the hill. There are 647 steps built into the hillside beside the track. Bearreraig Cottage (NG55SE 14.2), on the main Portree-Staffin road was built for the power station attendant when the power station was opened. It was the winning design of a WRI (Women’s Rural Institute) competition. A second house (NG55SE 14.3) was built beside the winch-house in the 1960s for a second power station attendant. 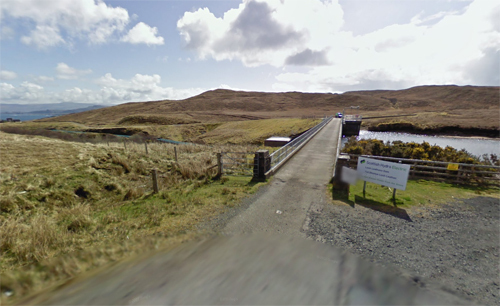 The access track leading from the A855 Portree-Staffin road to the power station was built by NoSHEB in the late 1940s-early 1950s to enable construction of the dam and other structures. More information at sv.wikipedia.org and canmore.org.uk.